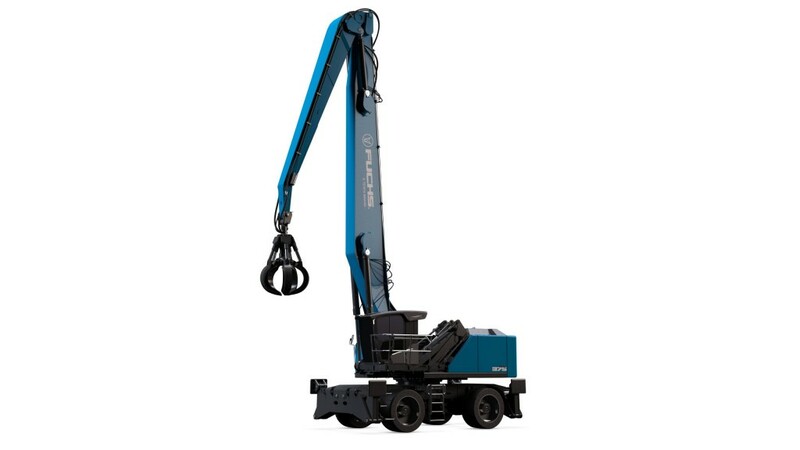 The MHL375F HD is a new, state-of-the-art material handler that is suitable for scrap handling and port applications, featuring telematics and the option to be powered by either a diesel or electric motor. Bridging the gap in the 60-70 tonne category, the MHL375F HD has a huge undercarriage, is impressively agile, and has a modular system that lets customers customise their machine to their own requirements, such as from dual or single tyres, loading systems with a reach of 18 or 20 metres, various lifting cab systems. Also on display will be the MHL320 with ‘compact' features to suit recycling applications in restricted spaces, featuring a redesigned boom box which, together with the kinematics of the dipperstick, enables a lorry to be loaded in halls with low ceiling heights. It also has all-wheel steering that offers a tight turning circle and automatic reverse as the machine can automatically detect the undercarriage's direction of movement. The third Fuchs machine at bauma 2019 will be the RHL350F, based on the best-selling MHL350F, but with a crawler undercarriage instead of a mobile undercarriage to suit applications on soft, unsurfaced ground. The RHL350F has caterpillar tracks that are retracted to make transportation relatively easy and inexpensive, and the option of a hydraulically adjustable crawler undercarriage to reduce set up time. All Fuchs material handling machines are equipped with the most comfortable cabs on the market. The driver is met with a generous amount of space and an excellent panoramic view. Modern conveniences, such as special storage compartments with a charging station for mobile phones and an air-conditioned food storage box contribute to a pleasant working environment, as do the ambient lighting, intuitive operation with centralised controls and self-explanatory status messages on the display screen. Dominik Vierkotten, General Manager Fuchs commented, "Our product range is constantly evolving to meet both market and customer needs as we endeavour to remain at the forefront of the material handling market. bauma 2019 is a fantastic platform for us to showcase our latest innovations and our team of experts is looking forward to connecting with existing and potential customers at the show and discuss how we can best meet their material handling needs."